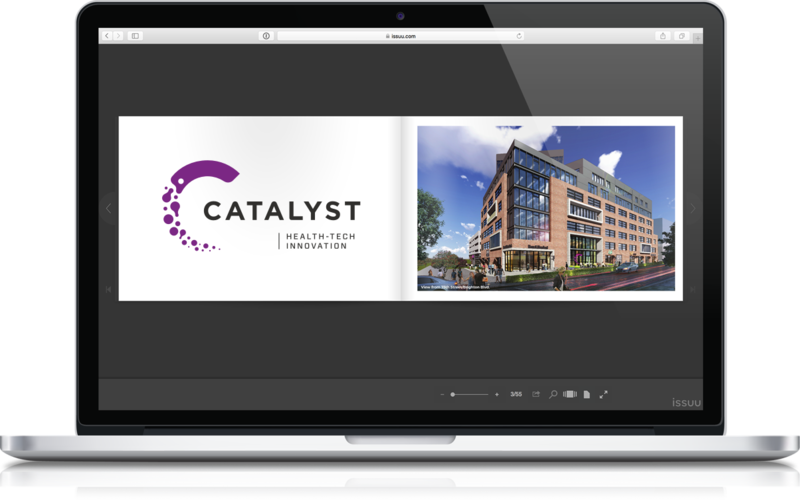 Catalyst HTI is an industry integrator, a real estate development that will bring together relevant stakeholders from across the health, wellness, and healthcare industries to accelerate the industry’s current reimagining. From established organizations to startups, from business accelerators to advocacy organizations, and from medical schools like CU Anschutz to global leading companies, everyone in Catalyst HTI will work side-by-side to create, develop, refine and bring to market cutting edge innovations that will fundamentally transform healthcare as we know it. Catalyst HTI will create a community of healthcare innovation professionals and businesses in order to quicken the pace of industry advancement by providing a welcoming, healthy, and informative environment where thought leaders can collaborate and innovate, together. 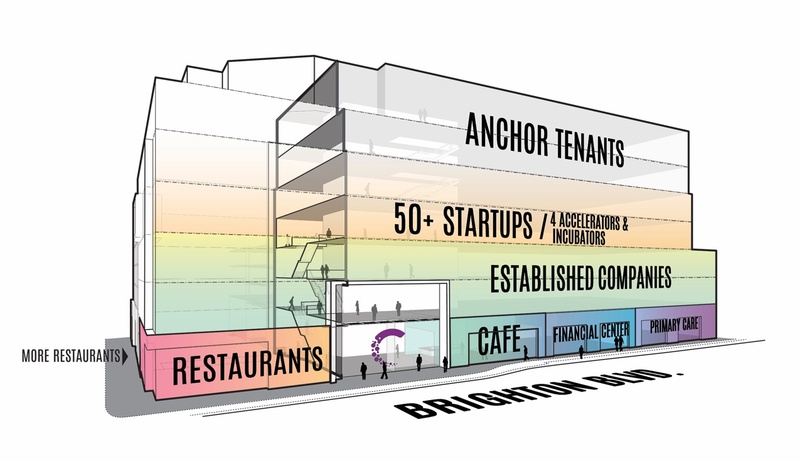 The community is growing everyday – from startups, to business accelerators, to clinicians, entrepreneurs, investors, non-profits, executives, academics, and policy-makers. We will work together to create the future of health, wellness, and healthcare in America. Kaiser Permanente will serve as a pilot site where new clinical innovations and processes will be tested. With plans to make this center its epicenter of high-tech innovation — where clinical providers exploring new methods of care delivery will rapidly test concepts and technology — as it works to shape the future of health care. Hitachi Consulting is the global solutions and professional services organization within Hitachi Ltd., a global innovation leader in industrial and information technology solutions and an early pioneer of the Internet of Things. Hitachi Consulting is a business integrator for the IoT era and a catalyst for digital transformation. Using our deep domain knowledge, we collaborate with clients to help them innovate faster, maximize operational efficiency and realize measurable, sustainable business and societal value. As a consulting-led solutions company, we can help you leverage data as a strategic asset to drive competitive differentiation, customer loyalty and growth. The Medical Group Management Association (MGMA) creates successful medical practices that deliver the highest-quality patient care through education, resources, news, information, advocacy, and networking opportunities, and producing robust medical practice economic data and data solutions in the industry. As the state’s leading dental benefits provider covering more than 1.3 million people, Delta Dental of Colorado believes it’s imperative to be on the leading edge of developing the future of oral healthcare to improve patient outcomes and care. The nonprofit is committed to elevating the importance of oral health in the minds of health professionals and the broader public and to advancing innovations that help improve the oral and overall health of the communities they serve. UCHealth’s vision to creatively transform health care delivery and encompasses working with tech companies on the development and investment in health care technologies to achieve far more for patients. UCHealth is an industry leader in looking at ways AI, big data, and other innovations can change the future of medicine to improve care, quality, experience and safety all while helping control costs. A nationally recognized, nonprofit network of 10 acute care hospitals and more than 150 clinics throughout Colorado, southern Wyoming and western Nebraska, UCHealth employs more than 21,500 people. With University of Colorado Hospital as its academic anchor, UCHealth is uniquely able to provide advanced treatments and innovative clinical trials, ensuring excellent care and outcomes for about 1.4 million unique patients each year. The University of Colorado Anschutz Medical Campus, a comprehensive academic health sciences center, trains the health sciences workforce of the future collaboratively improving the quality of patient care they deliver, research they conduct, and health professionals they train. Prime Health is an ecosystem of healthcare administrators, providers, entrepreneurs, investors, technologists and academics acting as an integrator of qualified and tested health innovation to enhance healthcare. Their mission is to make Colorado the leading health innovation hub. The American Heart Association/American Stroke Association is working to build healthier lives, free of cardiovascular diseases and stroke. Building from a solid foundation of scientific knowledge and continually seeking research breakthroughs, the AHA/ASA brings scientific discoveries into everyday life and is committed to advancing the health of all Americans with the best science has to offer. CORHIO empowers people, providers, and communities by providing the information they need to improve health. We are a nonprofit dedicated to improving healthcare through health information exchange and helping organizations succeed in value-based care. Our organization works closely with and among communities across Colorado to develop and implement secure systems and processes for sharing clinical information. CORHIO collaborates with all health care stakeholders including physicians, hospitals, clinics, behavioral health, public health, long-term care, laboratories, imaging centers, health plans and patients. Terumo BCT, a global leader in blood component, therapeutic apheresis and cellular technologies, provides a unique combination of apheresis collections, manual and automated whole blood processing, and pathogen reduction coupled with leading technologies in therapeutic apheresis and cell processing. 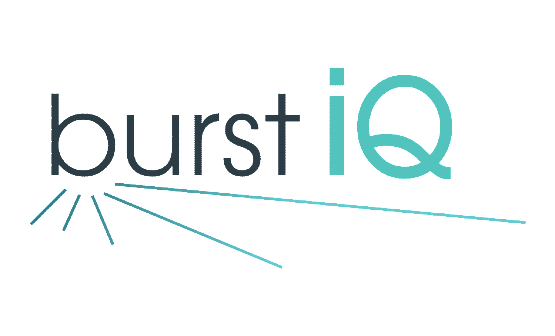 BurstIQ helps healthcare providers harness the power of data. BusrtIQ believes individuals and their care providers should have more control of their data. Creating a frictionless environment customers can connect legacy solutions, new data sources, and integrate innovative digital health technologies. Center for Improving Value in Health Care (CIVHC) is an objective, not-for-profit organization that strives to empower individuals, communities, and organizations advancing the Triple Aim of better health, better care, and lower costs. Through services, health data, and analytics, we partner with Change Agents to drive towards the Triple Aim for all Coloradans. We believe that together we can alter the trajectory of health care and we are privileged to serve those striving toward a better health system for us all. CirrusMD is transforming health care through communication, providing patients with instant access to a local ER physician. Unlike other telemedicine providers, CirrusMD allows doctors to manage and monitor multiple patients at one time, creating efficiency and scalability. For those digital health startups and health-tech companies focused on other parts of the healthcare system, MINES & Associates offers advice on navigating healthcare regulation, dealing with insurance companies, and understanding how digital health interventions can positively impact the behavioral health of users. 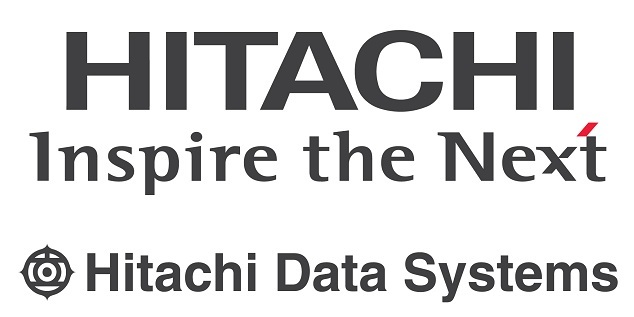 Hitachi Data Systems (HDS) innovates technology for business and social prosperity. Their IT solutions and services drive strategic management and analysis of the world’s data. Premier Manufacturing is a contract manufacturer of printed circuit board assemblies specializing in concept designs to prototypes to volume manufacturing. They take pride in helping clients turn concepts into viable products in the most cost-effective, and highest quality manner possible. RampUp is the first web-based employment platform created exclusively for the Healthcare Sales and Marketing Industry that directly connects elite sales candidates with exceptional employment opportunities in a competitive and completely free market environment. The Telespine program for low back pain was developed because traditional, clinic-based care for back pain is expensive, inconvenient, and not effective. Significant research proves 96% of people can get lasting relief from their low back pain using Telespine’s telehealth solution. access.mobile International is a digital health company committed to improving access to healthcare through mobile and cloud-based technology.access.mobile aims to strengthen the patient-provider relationship through practical, affordable, and usable technology solutions developed for Sub-Saharan Africa and emerging markets. 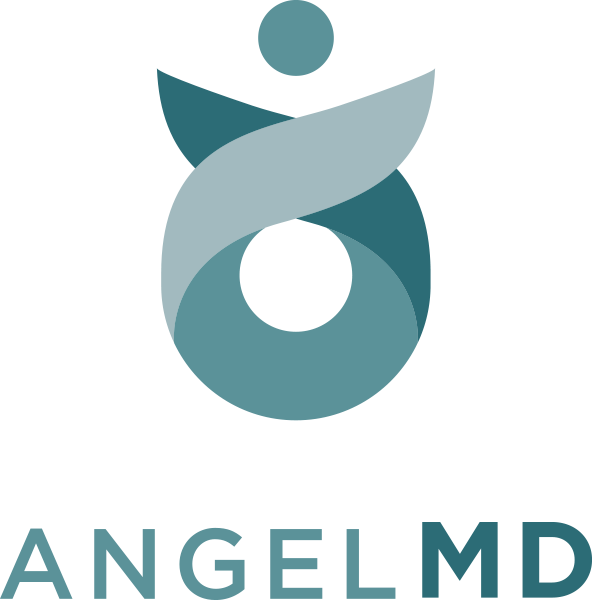 angelMD is an investment platform and marketplace connecting innovative medical startups, physicians, investors and industry partners. Leading physicians from all over the US have joined the angelMD Scientific Advisory Board and Leaders Club to help source, evaluate and advise companies in biotechnology, medical device and healthcare technology. Velóce Corporation is developing the SmartTab™ Drug Delivery and Monitoring System, a wireless ingestible capsule that contains an electronic receiver and monitor. This precision digital delivery system can be remotely triggered via an external device and deliver active ingredients to targeted areas. SmartTab™ will deliver active ingredients to highly specific areas in the human body at specific times or in response to a monitored physiological condition. The system will interface with custom or current wearable and monitoring technology. The SmartTab™ has the capability to deliver a wide range of active ingredients and interact with the Internet of Medical Things (IoMT) to optimize patient care. cliexa™ changes doctor and patient behavior by connecting patients, clinicians and insurers to better care for and manage chronic conditions which translates into significant cost savings, a better doctor and patient experiences and better outcomes yielding higher customer defined value. Falls are the leading cause of accidental death among seniors, and represent a $35 billion health care issue. Nymbl Science combines 35 years of clinical studies with mobile technology to help people evaluate and improve their balance at a very low cost. Nymbl’s system is used by physicians, physical therapists and wellness professionals to evaluate and determine effective balance interventions. Nymbl is also developing stride analysis, falls prediction, and concussion testing applications. A nationally-respected, Denver-based health policy consulting and lobbying firm, the Wynne Health Group’s client partners understand all aspects of Federal healthcare law and regulation impacting their goals and are empowered to shape them before they happen. Our team of experts delivers results-driven service with a decidedly un-Washington combination of substantive depth and political acumen. Play-it Health provides personalized, dynamic platforms for encouraging and tracking adherence to health regimens in real time. The Play-it Health platform is powered by a grading engine that distils adherence into concise, actionable, easy to understand indices and is applicable across the spectrum of chronic disease. 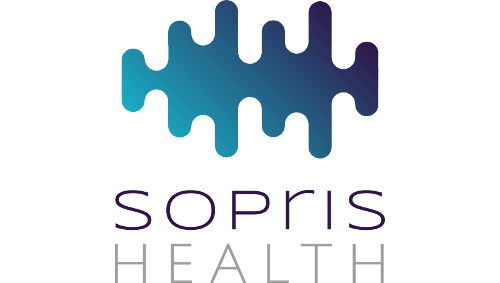 Sopris Health is an intelligent clinical operations platform featuring an AI medical scribe app that listens to the physician during a patient visit, captures and summarizes key data, and automatically generates an industry-standard SOAP note — eliminating the need for dictation and creating significant workflow efficiencies. Currently in use around the U.S. , the app is available on iOS. Countermind is the maker of Mobile Intelligence™ Clinic, a point of care data collection technology which allows healthcare providers to create optimized mobile workflows for their existing clinical systems. Mobile Intelligence™ Clinic has been a game changer in healthcare activities around the nation and has helped our clients win multiple awards. Mobile Intelligence™ Clinic eliminates errors, speeds workflows, and reduces paperwork so that care data collection is fast, accurate and secure. nestCARE fills the massive care gap that exists for consumers during all the time they are away from the doctor (5000+ waking hours per year). The core offering is one of the only truly holistic health solutions in the market that addresses all 3 pillars of health at home – vitals monitoring, medication adherence, and general wellness management – while also ensuring full inclusion of a trusted support network and innovative learning along the way. No longer do we have to guess about health actions and their associated outcomes, and revolutionary insights are being developed every day for the benefit of our consumers and distribution partners. Affordify was built out of the frustration with current self-pay patient financing options. Affordify allows the provider to offer easy monthly plans to their patients with digital technology and end to end life cycle management. Affordify understands that we're an extension of the provider and offers nothing but transparent, fair, patient centric solutions while removing multiple operational pain points for the provider. If you're struggling to collect self-pay, are experiencing difficulties with payment plans, or want to offer your patients the best possible experience, it might be time to try Affordify. Care on Location combines years of clinical and telemedicine experience to create a value-based healthcare technology platform. They provide convenient and affordable access to care through telemedicine, yet close the healthcare loop by identifying the most appropriate and available in-person providers and directly connecting patients to them when more than a telehealth visit is needed. Innovation is part of the culture at Lutheran Medical Center. The staff is encouraged and supported in thinking differently when it comes to caring for our patients. The commitment to innovation has resulted in implementation of ground-breaking ideas to help transform the future of healthcare. As a community-based acute-care hospital, Lutheran’s premier services include healthcare across the spectrum of life – from birth to senior care. Lutheran has been recognized nationally for clinical excellence, patient safety and patient experience. Lutheran is owned by SCL Health System, a faith-based, nonprofit healthcare organization dedicated to improving the health of the people and communities we serve, especially the poor and vulnerable. Telligen is on a mission to transform lives and economies by improving the health of populations. For more than 45 years, Telligen has been a trusted partner for employers, unions, and government agencies at the federal, state, and local levels. We deliver proven health solutions tailored for each of our clients based on their priorities, population demographics and geographic needs. We leverage sophisticated health data analytics, clinical expertise, and IT prowess allowing us to turn data into action, and action into usable knowledge. The concept is so simple, yet so valuable: provide patients and their caregivers a 24/7 single point of access to their health care community. Welcome Home Health delivers an in-home post discharge experience guiding patient compliance with discharge orders/care plans. Our medical team completes medicine reconciliation within 24 hours of onboarding, and provides clinical triage all the way to 911 when needed. The result is a physician-led, data driven comprehensive care transition service. It’s called “Healthy @ Home.” And we built it to scale! Egg Strategy is a global brand strategy and innovation consultancy. Our Health division helps the world’s largest health and wellness organizations uncover insights, launch products and build strategy that unlocks growth and closes the gap between patients and providers. Over 900 acute care facilities utilize The Sullivan Group’s RSQ® Solutions platform to positively change clinical practice patterns and improve patient safety. RSQ® Solutions is a proprietary online platform that delivers experiential, clinical risk management training to physicians and nurses and clinical analytics that reveal potential exposures to adverse patient outcomes and malpractice litigation. Health DataXtm (HDX) is a platform developed by TerraFrame® that enables integration, collaboration, and location-based analysis of social determinants of health data. HDX automates the integration of disparate data according to census block, block group, tract, zip code, and county. HDX can blend your organization’s data with social, economic, and environmental indicators by location to improve decision-making for patient care or social impact initiatives. At Ligature Creative, we don’t come to work every day — we show up every day to play and a lot of work gets done. We are energetic about our craft and want to create the best visual media for our clients. We work to live, and love to work. We are founded on the principle of doing good work with people who do good work focusing on community, health & recreation, education, arts, and tech startups. With skills ranging from UI/UX, Web Design & Development, Branding & Publication Design, we’re intent on providing an experience for our clients that is unlike what you’d get with other agencies. To Ligature, if we work with you, you’re not a client, you’re a partner. As the nation’s largest law firm focused exclusively on matters specific to health care organizations, Hall Render’s extensive knowledge and experience set us apart. Nearly 200 health law attorneys provide the nation’s best health systems, hospitals, physician organizations, post-acute and ancillary providers, ambulatory surgery centers, provider-sponsored health plans and other health care industry partners with legal and strategic counsel on all aspects of health care regulatory, business, compliance and operational matters to meet each client's needs in the evolving landscape of today’s health care industry. PeopleCare Health Services provides home healthcare services to children and adults of all ages under the Health First Colorado Medicaid, Veterans Administration, and Area Agencies on Aging programs as well as on a private pay basis. PeopleCare delivers post-acute care and long-term services and supports in the homes and communities where it’s clients live throughout Colorado to help maximize client health and safety and generate significant savings for payers. Ingenious is a digital and physical product design agency that combines behavioral psychology with technology. We help you prototype, iterate and execute your product innovations. Do you need full stack developers with React, HL7 and HIPAA experience at a competitive price? Let our behavioral lab, software development team and game design studio test and refine your digital health solutions. TEAMWORx Health is a talent + strategy consultancy for companies in the healthcare ecosystem. We are headhunters, talent scouts, and experts at People Science, connecting brands to the best talent to build culturally-aligned, dynamic, high-performance organizations. Redox provides a vendor and standards agnostic integration platform to securely and efficiently exchange healthcare data. Healthcare organizations and technology vendors connect to Redox once and then have the ability to authorize what data they send to and receive from partners through a centralized hub. Redox eradicates the need for point-to-point integrations and accelerates the discovery, adoption, and distribution of patient and provider facing technology solutions. With hundreds of healthcare organizations and technology vendors exchanging data today, Redox represents the only truly interoperable network in healthcare. Solera Health is rapidly scaling the National Diabetes Prevention Program (DPP) by connecting people with prediabetes, payers, and providers with community-based and digital DPP providers, simply and securely. The company helps bring together and make accessible other highly fragmented, non-clinical, evidence-based, lifestyle modification programs and services into one integrated network, allowing health plans and medical providers to increase consumer participation with health-related, social supports. Solera proactively identifies the “best fit” program based on individual’s needs and preferences, which has proven to significantly improve patient outcomes at a fraction of the cost of traditional medical care. SSI Strategy is a boutique management consulting firm that supports the needs of the Medical Affairs, Pharmacovigilance, and Clinical Development functions within Life Science companies. 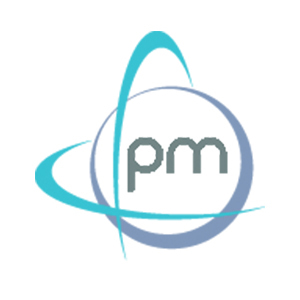 Our teams consisting of experienced Pharmaceutical industry leaders and skilled business consultants have the knowledge needed to solve the industry's most complex problems and the capability to execute. Pagedip’s lightweight documentation authoring tool enables beautifully designed, interactive and responsive digital documents to be created quickly and easily. The unique "document format" increases reader engagement and insures readers have access to the most up-to-date material. PAL Technologies provides clinical tools for the patient-centered measurement of free-living, physical behavior. The activPAL™, is the world’s first single-site instrument validated to quantify postural allocation and ambulatory activities using dynamic acceleration and inclination logging technology. Combined with a robust platform of advanced data visualization and integration tools these data provide a rich resource from which clinicians, researchers and other professionals can evaluate behavior, facilitating the design of interventions and assessment of patient compliance with exercise and treatment protocols. More than a thousand research articles have been published addressing health behavior questions ranging from the evaluation of novel treatment interventions to engaging individuals in adopting positive health behaviors. OpiSafe is an award-winning solution provider of platforms designed to manage the opioid response for provider, first responders and more. Headquartered in Denver, OpiSafe operates in 35 states or provinces in the United States and Canada. Worrell is a healthcare research, design and strategy firm headquartered in Minneapolis. Worrell has offices in Shanghai and London and a 45-year track record of award-winning design. Since 1976, Worrell has served medical device and pharmaceutical companies with expertise in ethnographic research, human factors, and design and development programs. Working on the front lines with patients and healthcare professionals, Worrell uncovers unmet needs to bring new drug delivery, medical device, and digital health solutions to the market. Comprised of a team with a combined 60+ years in the healthcare industry, SmartMed Ventures has spent the last two decades studying market dynamics, supply/demand, and the diverse landscape of care models. Our team and it’s expanding list of companies are committed to redesigning health and care for our country by restoring value back into a diluted system. This starts with a universal truth, healthcare in its purest form is about the relationship between and individual and their doctor. mCharts is a Personal Health Record (PHR) application and service network that collects a patient’s health records from all providers, and presents them on a Facebook-like timeline, a body map, and other simple views, making health records easy to understand and communicate. Like Mint.com for personal finance, mCharts assembles records from multiple sources into one place, so they are ready when needed for routine needs or emergency care. With consolidated health records under their control, patients are empowered as partners in care, and can engage more effectively with providers and other health information services. Routinify provides for the well being and safety of those choosing to Age in Place. For seniors in a managed living environment, Routinify enhances their quality of life and improves the efficiency of operations for the facility operator. The system provides for the remote monitoring of all facets of well being, including vitals, and provides for TeleVisit capabilities. Connecting the widest array of personal health data and programs, Accolade presents a single point of contact to the most effective health and benefits resources, while coordinating with providers at every step. Accolade consistently achieves 70 and higher Net Promoter Scores, 98% consumer satisfaction ratings, and up to 15% employer cost savings. Accolade has been recognized as one of the nation’s 25 most promising companies by Forbes, a fastest-growing private healthcare company by Inc. 5000, and is consistently rated a Top Workplace across the country. Astellas Pharma US, Inc. is an affiliate of Tokyo-based Astellas Pharma Inc., a top 20 global pharmaceutical research company. Astellas is committed to turning innovative science into medical solutions that bring value and hope to patients and their families. Keeping our focus on addressing unmet medical needs and conducting our business with ethics and integrity enables us to improve the health of people throughout the Americas and around the world. bēkn blurb: A physiology company providing individualized health and wellness services to a member-based community. Combining today’s technology and science-based data with a team of experts, bēkn provides affordable, individualized whole-body care specific to each member’s goals. For $49/month, each member receives access to science-based movement and metabolic testing and technology, unlimited physical therapy, exercise programming, nutrition planning, community events, and educational seminars. Through innovative ideas and best-in-class approaches, Innova help hospitals around the country transform their emergency departments. Innova was founded in 2011 with the idea that all patients deserve the best in patient care, and that it was possible to do so while treating patients, providers and partner hospitals with the utmost respect. Innova provides emergency department provider staffing across the Intermountain West and Midwest, specializing in rural emergency departments. Well Being Trust is a national foundation dedicated to advancing the mental, social and spiritual health of the nation. Created to include participation from organizations across sectors and perspectives, Well Being Trust is committed to innovating and addressing the most critical mental health challenges facing America, and to transforming individual and community well-being. SleepImage is addressing the unique role of sleep in healthcare, being both preventative to stay healthy and curative to restore health. Coming from worldwide leadership in conventional sleep diagnostics, our disruptive innovation can analyze any quality ECG signal to measure sleep at the heart of the Autonomic Nervous System where sleep is biologically controlled. With the first and only FDA cleared unit of measure for sleep quality, our technology can be used to track sleep health as well as evaluate and manage sleep disorders. Muse the brain sensing headband helps make meditation easy through our state-of-the-art EEG platform to help users find calm and focus through accurate, real-time biofeedback. Meditation Studio, named by Apple as one of the top 10 apps of the year, offers unparalleled access to original, guided meditation content delivered by 40+ leading experts in the meditation and mindfulness space that target daily challenges like stress, sleep, anxiety and performance. Whether you’re grappling with chronic stress or insomnia, trying to be more focused at work, or planning a big presentation and hoping to calm your nerves, we have something for you. We build value in healthcare through sustainable, impactful innovation. Whenever health care leaders say “If only we could . . . “, they should think of Firepoint. We believe the answer is always “Actually, we can”—and are ready to demonstrate that reality. Firepoint Studios partners with health care systems and innovative startups to identify creative approaches to their challenges, and align solutions with organizational opportunities and priorities. We work with clients to design, develop, and integrate such solutions both cost effectively and within reasonable time frames. Helix is a personal genomics company with a simple but powerful mission: to empower every person to improve their life through DNA. We’ve created the first marketplace for DNA-powered products where people can explore diverse and uniquely personalized products developed by high-quality partners. Helix handles sample collection, DNA sequencing, and secure data storage so that our partners can integrate DNA insights into products across a range of categories, including ancestry, health, wellness and entertainment. From profound insights to just-for-fun discoveries, Helix is here to help people live a fuller life. Medecipher provides a health IT platform that helps emergency department clinical coordinators navigate operational decision making in today’s constrained environment. Our platform leverages data science technologies to predict patient volume, optimize tactical staffing decisions and recommend operational course corrections in real time. Medecipher was founded by former managers of an emergency department and industrial engineers: we understand patient flow, throughput, and the operational reality of managing a hospital. Progressive Health Center is a non-profit dedicated to optimizing the quality of healthcare through Integrative health and wellness. This includes conventional and complementary approaches to health and healing. Our compassionate, patient-centered practitioners offer a variety of holistic modalities, enabling us to fully support each individual on their healing journey. Personalized treatment plans are developed for each individual, based on their particular health needs and goals while taking into consideration the recommendations of referring physicians. No one is turned away for financial reasons. We are able to provide financial assistance from donations to help cover integrative services because of donations from the community to support all patients who want access to integrated care. Root Valuation is a valuation and financial advisory firm dedicated to the healthcare industry. Our mission is to provide meaningful insight into the key value drivers of healthcare businesses and services so that our clients not only get compliant fair market value opinions, but receive actionable analysis that facilitates successful outcomes. We do this with focused industry expertise, a commitment to excellence, and a heart for service. Storyvine is a guided video system with an easy-to-use app that lets anyone, anywhere capture and create polished & edited videos in just minutes. Customizable templates serve as a story framework that guide users through the process, giving confidence to even novices. Storyvine then “automagically” creates a finished video. Whether it’s sharing a patient experience, capturing physician best-practices, or discovering your own use, Storyvine makes compelling video content possible. It gives you the power to capture and share real, authentic stories from anyone, anywhere, at any time. Allscripts is an industry leader with a 30+ year history of excellence and commitment to enabling smarter care, delivered with greater precision for healthier patients, populations and communities. Its healthcare information technology solutions advance clinical, financial and operational results. Allscripts connects people, places and data across an Open, Connected Community of Health™, empowering caregivers to make better decisions and deliver better care for healthier populations. Integrated Work is a woman-owned, woman-led firm devoted to building the leaders our society needs through real-world work. For over 20 years, we have partnered with mission-driven leaders, sharing in their commitment to making positive and lasting change. We partner with leaders in socially-conscious organizations and associations who want to increase their collective impact in innovative ways by leveraging the power of human connection. We are members of Catalyst HTI because we share its vision to reimagine health and revolutionize health care. Spheres of Influence Sales Consulting combines front-line experience with best practice to help sales teams create, implement and drive sales success. SOI works with start-ups and established companies to create sales structure so that sales efforts are more effective and strategic. Venddy improves quality of care and reduces the cost of healthcare through more efficient business relationships. Our Vendor Relationship Management platform allows provider organizations to strategically manage their software and service portfolio while our Intelligent Request for Proposal (iRFP) process adapts to the demographics of the organization and builds questionnaires based on the collective expertise of the industry. WINGS' mission is to break the cycle and heal the wounds of childhood sexual abuse by providing education, advocacy and support to adult survivors, loved ones, providers and communities. We’re ushering in the day when all survivors and their supporters have the resources they need to speak, heal and thrive. Just like the unique creature that possesses regenerative, anti-inflammatory and cancer tumor-killing properties, SeaStar Medical is a commercial- stage medical device company focused on developing blood-based perfusion technologies to address life-threatening medical conditions. Working in the Leadership Development, and Business Design space for over 30 years, the Institute for unLearning is focused on leading change without the customary resistance associated with growth, and culture shift.